Zakynthos is one of the many beautiful Greek islands where you will enjoy the sun, the beaches as well as a delicious moussaka and a few Mythos. Porto Roulis (Kypseli) is the perfect place to go to if you’re looking for a traditional, family-run business just by the beach. Enjoy a nice tzatziki, saganaki (deepfried cheese – to die for! ), a delicious Greek salad and fresh fish or an enormous lamb chopserved with chips by the daughters of the family whilst Roulis, the owner and dad, will sing some popular Zakynthian songs. Very low prices! 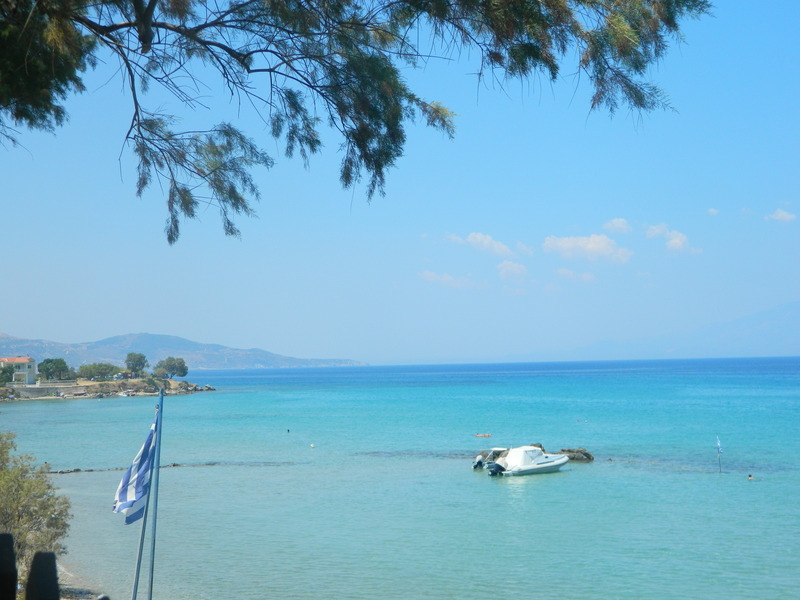 Shoestring restaurant (Alykanas) combines the amazing turquoise water, the view on Kefalonia and good and cheap food. Vardiola (Kypseli) is a very romantic and peaceful restaurant with exquisite food (prices slightly higher but nothing dramatic!). Aim for sunset! Weddings are also celebrated on the beach below the restaurant. 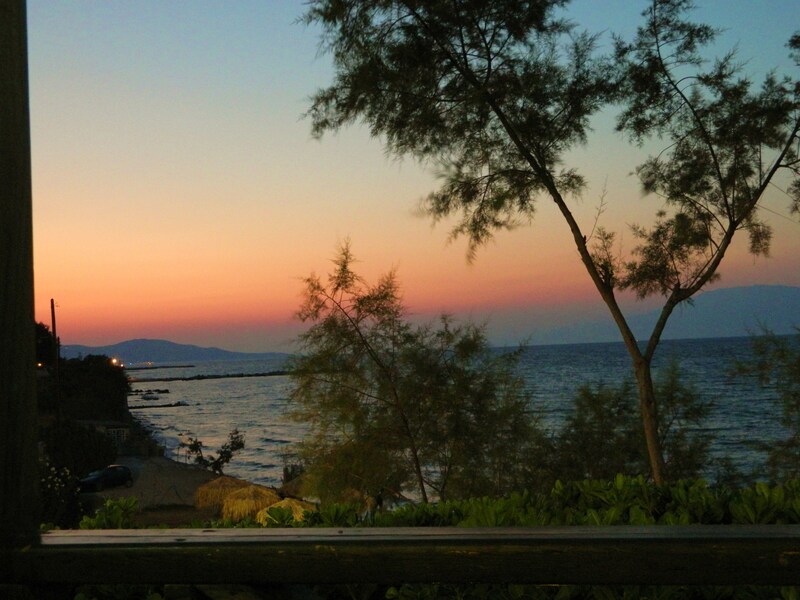 Komis fish tavern (Zakynthos) is the best rated restaurant on Trip Advisor. Located right on the port of Zakynthos town, you will of course enjoy some excellent fresh fish and seafood in a beautiful location. (You will pay for this!) One of you really does not like fish? Just ask them and they will go and get some chicken gyros! Again you will not find any trashy bars for teenagers in Laganas in the list below but a small selection of my favourite places on the Ionian island. Portokali (Argassi) is a very cute bar with a cosy garden (lay down in a comfy hammock) and a quirky house. Concerts and events are also organised. Base Café (Zakynthos town) is a very trendy and lively bar located right in the center of Zakynthos town, Excellent cocktails! Movida (Bochali) is a beautiful bar located on top of Zakynthos town. The cocktails are quite expensive but compensated by an extraordinary panorama on the port. (Amazing bathroom also!) Unmissable! In the mood to danse after your cocktails? The best club on the island is Barrage (Argassi), a big house surrounded by a marvelous garden. Fair prices for this outstanding setting! Previous Previous post: Belgrade: a pleasant surprise! Next Next post: Hungry in Brussels?